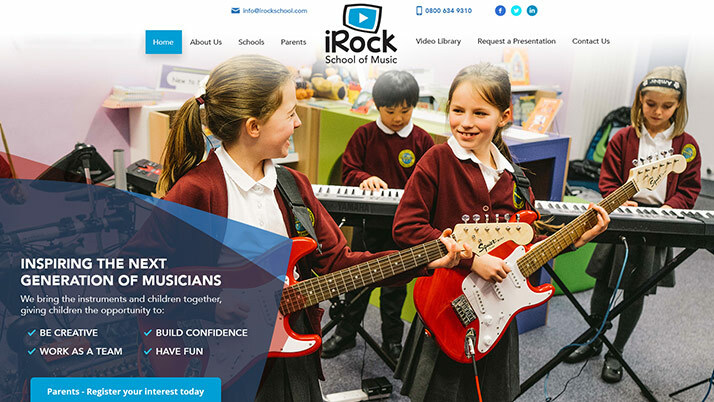 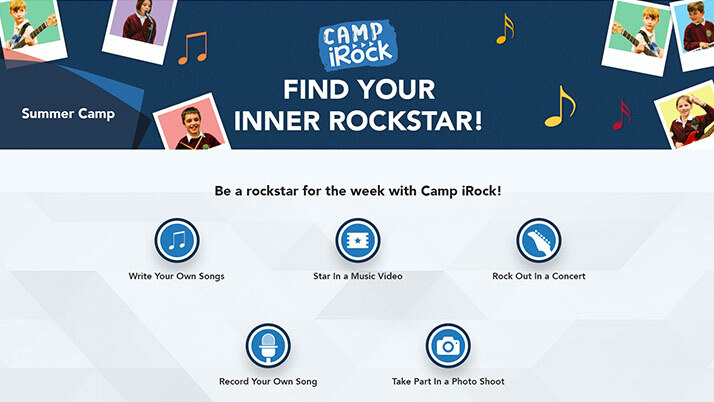 iRock School offer in-school band lessons to make music fun by giving children the opportunity to form their own rock band! 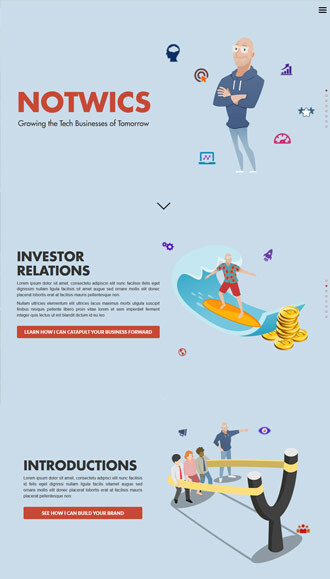 The client approached us looking for a website which appealed to both a young and older audience. 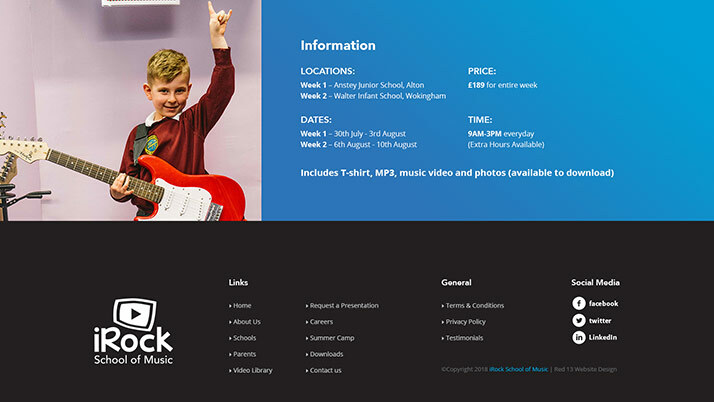 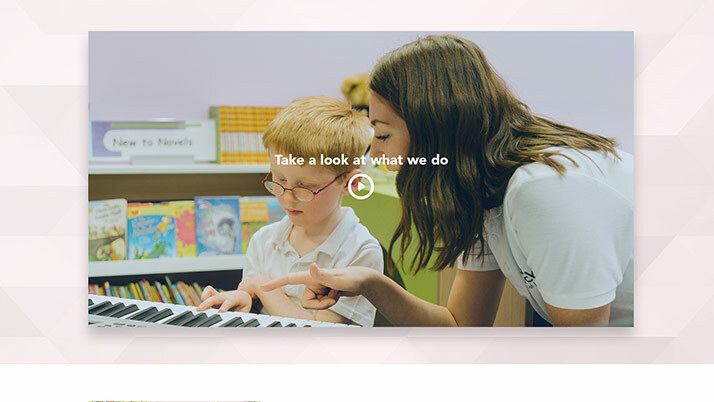 After the in-school photoshoot, we used the imagery to create bespoke website designs for each page. 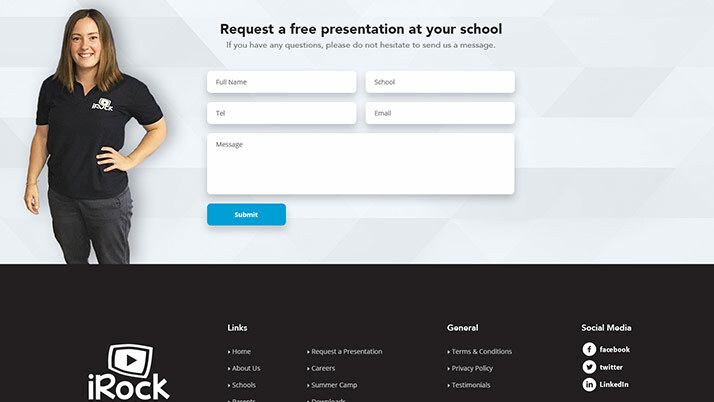 We had a high focus on creating leads for the client so we embedded a series of contact forms and calls to action to request call-backs to quotations. 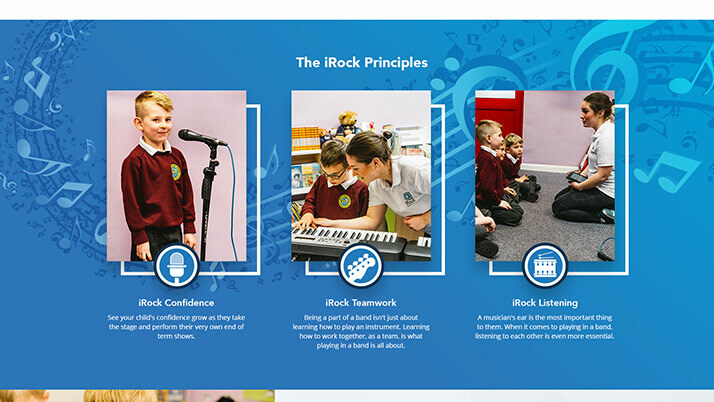 We love the iRock website. 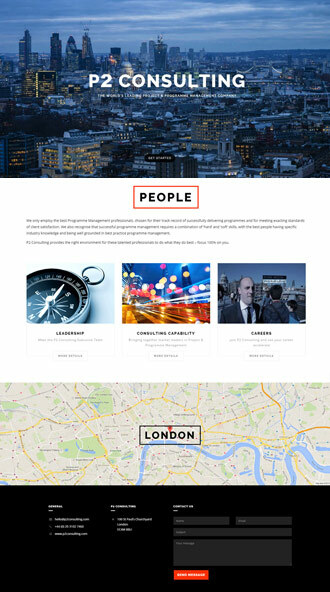 The engaging imagery and creative design results in a unique website which appeals to a wide demographic. 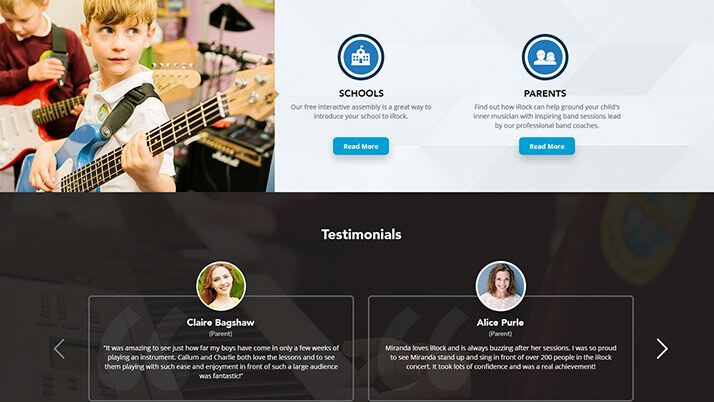 The website acts as a fantastic tool for the iRock team to promote their services to perspective new clients.